On a cold day this winter, Mary McCabe 72N MA set out from home in Virginia and headed to Florida to do something she loved. McCabe, newly retired, didn't go to relax at the beach. She joined colleagues from Memorial Sloan Kettering Cancer Center (MSKCC) for a meeting with Baptist Health's Miami Cancer Institute to discuss cancer survivorship care and how to set up a survivorship clinic, based on the model she developed at MSKCC in New York City. Baptist Health is one of numerous health systems, clinics, and private practices that McCabe has advised on the model, designed to help cancer survivors of all ages. Led by a nurse practitioner, the survivorship clinic extends the continuum of care provided by the patient's team of oncology doctors and nurses. The nurse practitioner works alongside them to monitor patients for after-effects of cancer treatment, screen for cancer recurrence, promote health through smoking cessation and other interventions, and communicate with the patient's primary care physician. In 2016, Mary McCabe 72N MA became the first recipient of the Leonard M. Rosen Memorial Research Award, presented by the Children's Cause for Cancer Advocacy in New York City. Rosen was a founding member and board chairman of the organization. McCabe was honored for her leadership in pediatric cancer survivorship at Memorial Sloan Kettering Cancer Center. "We've had the privilege of being a resource to institutions around the country and the world," says McCabe, who served as clinical director of MSKCC's Survivorship Center until retiring last year. "In addition to answering emails and phone calls, we hosted more than 100 teams who spent time with us to learn about our model. States and countries have different laws governing advanced nursing practice, so we helped them adapt our model to their home facilities." When McCabe left the National Cancer Institute (NCI) to join MSKCC in 2003, the cancer center offered a long-term follow-up program for pediatric patients and lectures and support groups for other patients. What it lacked were programs specifically for young adult survivors of childhood cancer and survivors of adult-onset cancer. McCabe and her colleagues turned to patients, families, and staff for guidance. From those conversations emerged a survivorship clinic for adults, training for physicians and nurse practitioners in survivorship care and research, more patient education, and services for adults treated for cancer as children. "When pediatric patients are treated for cancer, their organs are still growing and they may experience organ toxicity later on," says McCabe. "It might affect their heart, kidneys, lungs, and endocrine system. This patient population is complex, and we wanted to make sure they were thriving. We didn't want anyone to fall through the cracks. "When we surveyed cancer survivors about their unmet needs," she adds, "they told us about services they would like to have. So I added sexual health, fertility preservation, and reproductive endocrinology to my five-year plan." Another key part of her plan was putting nurses in charge of patients' long-term care. "As we thought about how patients should be followed, the focus was about more than screening for cancer recurrence," McCabe says. "It was about health promotion, rehabilitation, and understanding insurance options. The person in charge needed to have a holistic view of cancer survivorship. What better person than a nurse practitioner?" McCabe became a cancer nurse almost by accident. While in nursing school at Emory, she requested a clinical rotation in the ICU. Instead, she was paired with a preceptor named Edith Honeycutt 39N, an oncology nursing pioneer, in one of Emory's cancer units. "Someone told me, 'If you want to learn how to take care of sick people, watch her,' " McCabe recalls. "Edith made a tremendous impression on me. I not only learned the clinical aspects of nursing care, but also how to relieve suffering. She opened my eyes to oncology nursing as a subspecialty." 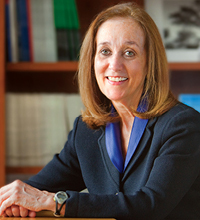 McCabe began her oncology career in Washington, D.C., at Georgetown University's Lombardi Cancer Center, eventually serving as director of nursing services. Drawn by the potential of clinical trials to advance cancer therapies, she joined NCI in 1988 and, over the next 15 years, held key positions to help improve the clinical trials process and incorporate quality of life and patient symptom evaluation into clinical trial networks. She also collaborated with National Institutes of Health (NIH) agencies and the Pentagon to ensure patient access to clinical trials and spent one day a week in NIH's Department of Bioethics. Later, at MSKCC, she became chair of its ethics committee, a resource to help clinical staff, patients, and families resolve conflicts, most often at end of life. In each case, the committee sought to bring parties together in the patient's best interest. "When I became a nurse, cancer treatments were harsh, and surgery was not as refined as it is today," says McCabe. "Our focus wasn't on quality of survival but on keeping people alive. Our ability to improve survival rates, for children and adults, has changed dramatically. But many patients still die of their disease. 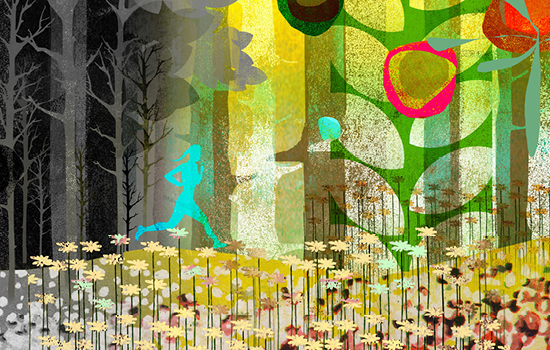 As nurses, our goal is to help cancer patients live well, regardless of how long."